GTA 5 - What ever happened to Grove Street? There's many unsolved mysteries in GTA 5's HD universe especially when you compare Grand Theft Auto San Andreas with it's sequel in which Franklin, Micheal and Trevor now reside in. A question on many people's mind is how on earth did Ballas take over the cul-de-sac of Grove Street? There's been many theories but in-game references lay down some of the missing pieces to the jigsaw puzzle. While the connection between the HD and 3D universe is vague, it's there. One example is during the the Hood Safari mission. When the player almost arrives at Grove Street, if they have a good eye they will see three people on bicycles pedaling away. The three men sort of resemble Carl Johnson, Big Smoke and Ryder. This is a reference to the mission Sweet & Kendl in Grand Theft Auto, San Andreas, in which CJ, Smoke and Ryder escape the Ballas on bikes. In another reference to GTA SA, a Ballas gang member may yell out provocation ("The Families were kicked out ages ago") in regards to the GSF control of Grove Street. It's also worth mentioning that aside from Vinewood Boulevard, Grove Street is one of only a couple of road names retained from the first GTA San Andreas edition of Los Santos. In 1992, (GTA San Andreas), The Grove Street Families were established in Grove Street and it served as their main base, which would often come under attack from The Ballas. One instance is the drive-by shooting that led to Beverly Johnson's death, or when OG Loc hosted a party at his house, three waves of Ballas members attempted to take over Grove Street, although in the end they failed. In 2013 (GTA V), The Ballas have somehow made Grove St their new territory and home. A lot can happen in odd 21 years and there's many theories on how The Families lost their turf but the video below should give you a better understanding with in game dialogue. Many times, Shawn 'solo' Fontero, the person who represented Franklin Clinton in Grand Theft Auto V, has hinted at some brand new narrative for Rockstar's blockbuster title. Last year, Rockstar Games released a collection of new screenshots showcasing the PC version of GTA 5, which landed in April 14th of this year. 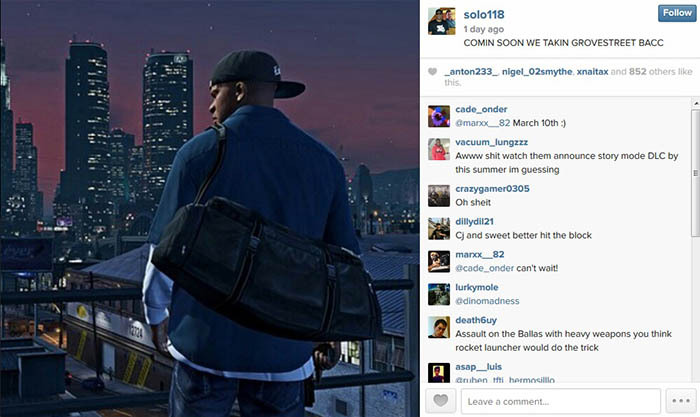 One of the pictures featured Franklin, holding a duffle bag and staring out over Los Santos. At the time, nothing much was thought about it, but then Fonteno, took to his instagram account and also shared the image, while writing.. While it's possible Fonteno could've just been referring to the PC release, Rockstar have said, albeit a long time ago, that they do have "substantial additions in 2014 continuing Michael, Franklin and Trevor's story, mayhem and unexpected adventures in Southern San Andreas." 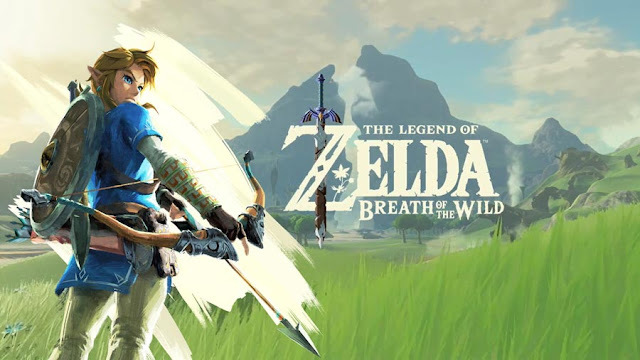 Of course, this was almost at the of 2013 when they first teased plot DLC and now it's been a long period since that time, but it's possible the content could've been put on the back-burner while the developer centered their attention on the debut of the PS4 and Xbox one versions, online heists, and the PC version, all of which took a lot longer than hoped-for. This isn't the first time Fonteno has spoken of DLC for GTA 5 neither. Back at Comic-Con 2013 during IGN's Grand Theft Auto V panel, Fonteno let it slip that he and Malay, the voice actor for Carl Johnson (from Grand Theft Auto San Andreas) were working on a "CJ and Franklin thing." Of course, that lead into Rockstar revealing their plans for "substantial additions." More lately, however, Fonteno featured in an interview with Jack Thriller in which he once again spoke about heading to New York to record new lines for his character Franklin. "We're working on the DLC, downloadable content, for Grand Theft Auto 5 and that's real big," he said last year. Check out the video below in which he makes the statement at 6:25. Again, nothing is official at this minute. All we're aware of is that in 2013, Rockstar said story DLC was arriving in 2014. In 2014, we received no DLC, but brief clues that Fonteno was working on something Franklin related. And now, we have this -- the cryptic Instagram post. Make of it what you will. It just seems strange that there hasn't been any reference to what happened to Grove Street, aside from NPCs and a brief mission where you end up having to shoot your way out of the location with Lamar and Trevor. 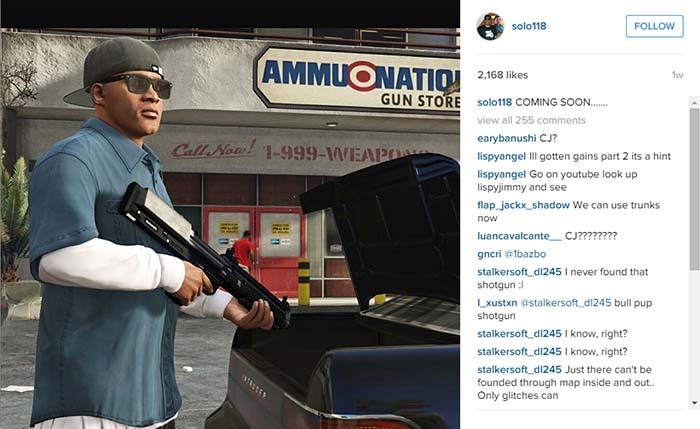 Last week Shawn Fonteno once again took to Instagram with another GTA 5 related post. He accompanied the image with the cation: "COMING SOON." All we can say is that it's about time, don't you think? Personally we'd love to see more Grove Street related DLC for GTA 5. Hopefully a DLC will come out explaining or reclaiming Grove Street. Carl Johnson f*ked up, once again. It's a fact that some (minor) characters have crossed over from the old games (Lazlow, Fernando, Jock Cranley who was actually a stunt man in Vice City Stories before running for Governor in V), and on that merit alone, I won't necessarily say the old characters don't exist in the current universe. As far as I'm concerned actually, everybody from San Andreas, as well as the other titles for that matter, are either dead, in prison, retired from gang life, or moved to another city. Grove street was dead before, during, and after San Andreas. Cj came back and the gang was in shambles. It only got worse while he was there with Rider and Smoke kicking the bucket. So its safe to say that after CJ and Sweet's Mom and brother died they didn't feel the need to rebuild the already broken gang. Not to mention it had been infiltrated and destroyed from within by crooked LSPD Law enforcement officers. So its only natural that rival gangs take over unprotected territory. Is it true? Ballas took over the entire Los Santos in the next GTA game series? Or is it just a joke? I hope GTA VI or whatever the name of the series later, if it takes story about Ballas and The Families again, could make it all make sense and clear. 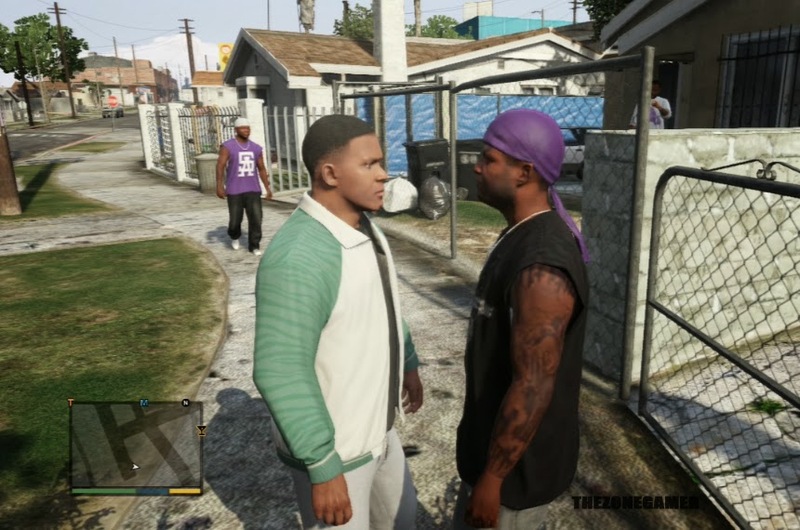 The dialogue between franklin and lamar proves GTA SA and GTA V are the same universe. After this dialogue, Rockstar wanted to prove completely that they are from the same universe. At one time Families controlled Grove St. but not any more. Everything else is just a fun little conspiratorial wink to SA fans. Am i the only one who think the whole "3D Universe/HD Universe" is all bullsh!t? Why did Rockstar have to make complicated...? The different landscape and city infrastructure don't matter when defining whether or not GTA V is set in different universe. From my point of view, the cities and be different and be from the same universe at the same time. All other hints GTA V throws at us show GTA LS and GTA SA LS are from the same universe. I'm hoping for a grove street DLC. Some missions made me think we would be working to remove the Ballas completely, but it never happened. Franklin was supposed to be the gangsta of the protag's, but he's just another Michael. They left out so many good features from GTA SA. The recruiting of gang members, the respect you get from gang members, the balaclava's, the territory take overs. I think Franklin would have been a lot more fun being a ruthless gangsta instead of a smart gangsta. Gangs in general felt sort of shoved to the side. Towards the end of the first act, it felt like Franklin vs. the Ballas was going to be a major part of his personal story arc, but then they were never used. I kept on wondering "when is Franklin going to interact with the Families or the Ballas at all?" but he never did after that heist and one mission at the end. I really think it's a good idea, please R*. This is a reference to the mission Sweet & Kendl in Grand Theft Auto, San Andreas, in which CJ, Smoke and Ryder escape the Ballas on bikes. There's been many theories but in-game references lay down some of the missing pieces to the jigsaw puzzle.